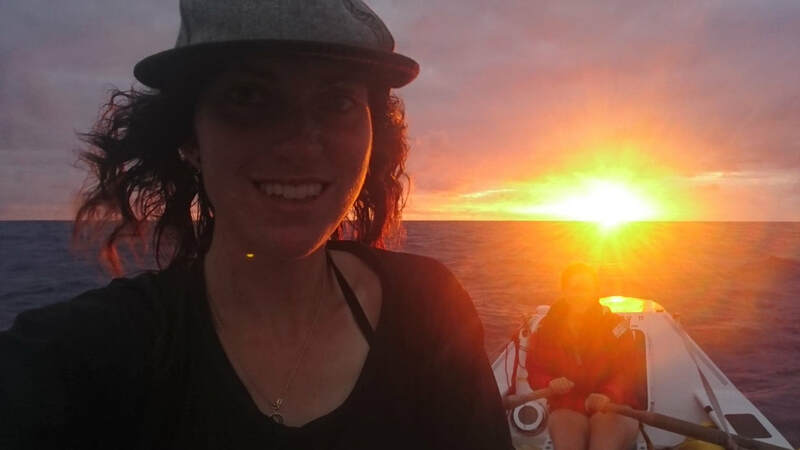 The next instalment of Cazz’s account of our 62 days, 18 hours and 36 minutes on the Pacific Ocean. ‘Now don’t worry or panic yourselves, but…’, cue a suddenly elevated heart rate, concerned glances to the others and a small sweat attempting to break out on my already salt drenched face and body. 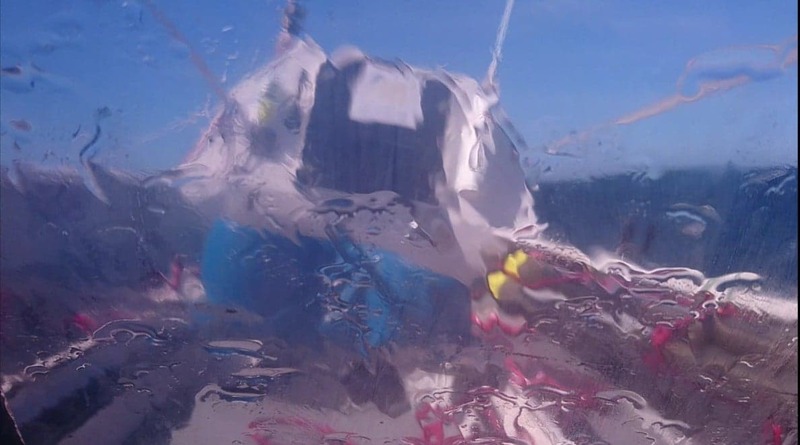 I was on the satellite phone, ducking in and out the cabin to avoid the waves crashing over the boat whilst attempting to not lose signal and keep a line that was just about audible. 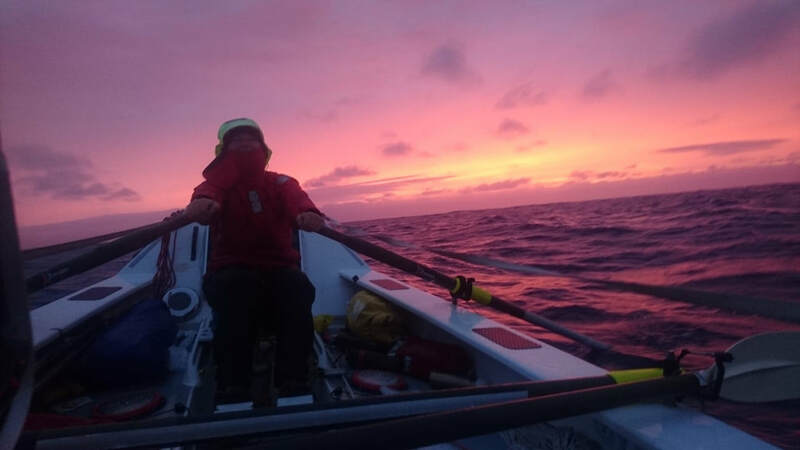 The weather wasn’t particularly bad, the winds were pretty average at around 20 knots, and we’d started to make some reasonable progress west. The first three weeks were becoming a distant memory and everything seemed to be improving. ‘There’s a hurricane heading your way’ said Stokey – our weather router for the row. Not the news we wanted to hear. We knew hurricanes could be a threat, previous editions of the Great Pacific Race had been affected by them, and we were rowing at the very beginning of hurricane season, but most form south in the tropics and don’t come up high enough to cause any trouble. Fabio had other plans. ​No one wants to get caught in a hurricane, let alone caught in the middle of the ocean in a 7-metre long boat with one very small cabin. It was the beginning of July and we still had a lot of miles left to row. It seemed that the Pacific wasn’t going to let us cross easily. Our only option was to slow down and let Fabio pass in front of us. This meant we would end up on the outskirts of the right-front quadrant where the higher winds and seas tend to be, but this was better than getting caught in the middle. 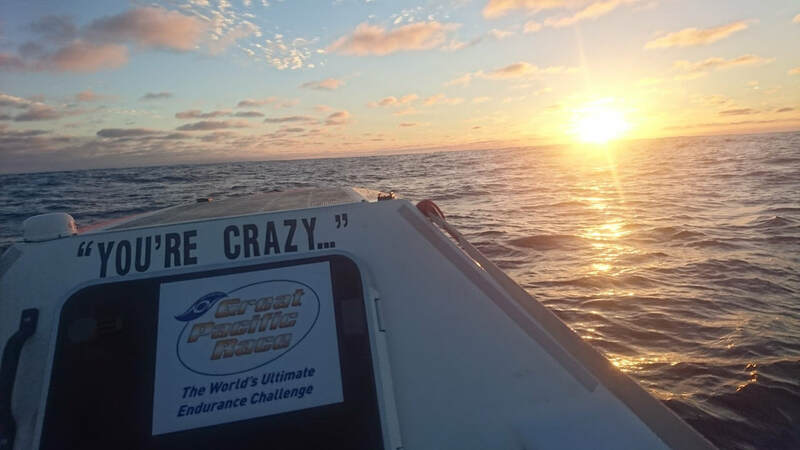 The race committee had been keeping us up-to-date with weather, as had Stokey, so the news of Fabio wasn’t a complete surprise, we had just hoped it would stay as a tropical storm and not upgrade to a hurricane. We battened down and prepared for a repeat of week one. Or would it be worse than week one? 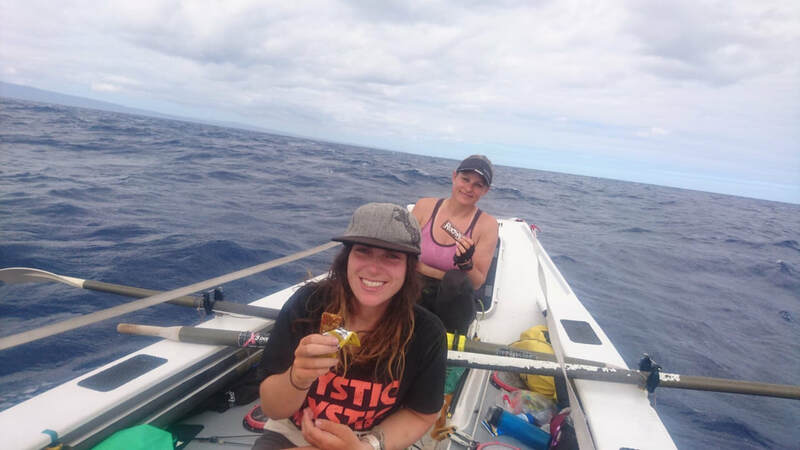 We had no idea, and approached it with how you have to approach things out at sea on a rowing boat, prepare as best you can and hope for the best! We rowed until the conditions got too big and we deemed it unsafe for us to be out on the oars alone. On the advice of Erden, the safety officer, we drifted overnight rather than deploying the sea anchor, saving us the rather tricky task of removing the rudder in big seas! Perhaps we had acclimatized to our surroundings, got used to large waves and high winds, or perhaps week one really was the worst weather we could have had, but spending a night shut in the cabin not rowing with all three of us squished in (i actually slept with my legs in the wet weather kit bag due to lack of space..) was the worst part of Hurricane Fabio. The waves crashed over Danielle, we got thrown around the cabin and rain lashed down, but never once did we feel unsafe. Our boat (built by Justin at SeaSabre) was an absolute dream in rough weather and never once came close to capzizing. Thanks Justin! !